Congratulations to our students, Bikash Kharel, Md Ekramul Haque, Noélia Lopez Garcia, Samson Omokaro Osadolor, Siba Ghadban and Sushmita Rani Saha who defended their master thesis during this past 2 months. Bikash Kharel from Nepal, defended his thesis entitled "The use of barcoding sequences for the construction of phylogenetic relationships in the Euphorbiaceae" at the University of Padova on the 26th of September. 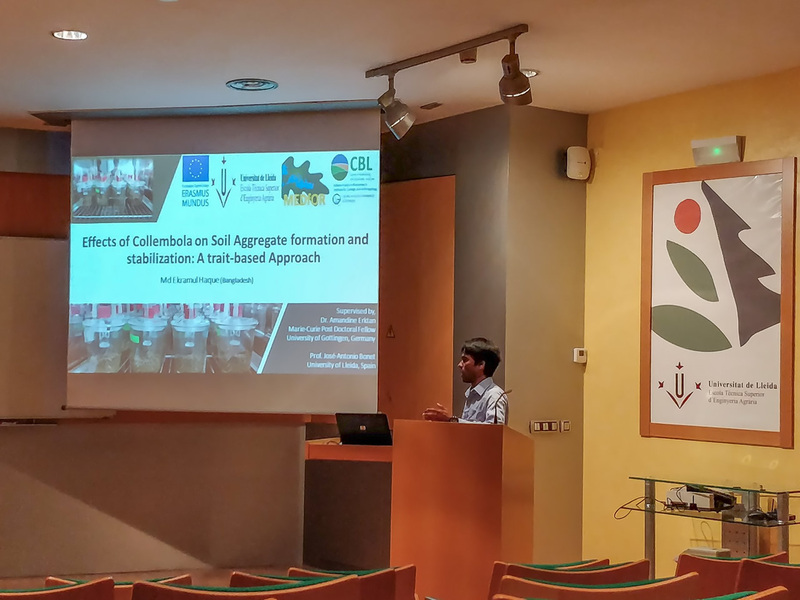 Md Ekramul Haquel from Bangladesh, defended his thesis entitled "Effects of Collembola on soil aggregate formation and stabilization: A trait-based approach" " at the University of Lleida on the 2nd of August. Noélia Lopez Garcia from Spain, defended her thesis entitled "Assessing ecosystem functioning on Mediterranean forests in the context of global change: the case study of Mont Ventoux (France)" at the University of Lleida on the 10th of September. Samson Omokaro Osadolor from Nigeria, defended his thesis entitled "Isolation and characterization of monoterpene synthase genes from Pinus nigra subsp laricio in Calabria" at the University of Tuscia on the 27th of September. Siba Ghadban from Syria, defended her thesis entitled "Key local landscape and stand structure variables explain biodiversity of Mediterranean forests in Catalonia, Spain" at the University of Lleida on the 25th of September. Sushmita Rani Saha from Bangladesh, defended her thesis entitled "Evaluation of the use of Biochar to remove heavy metals from road runoff." at the University of Tuscia on the 27th of September.